Below is my card submission for the Alta New April Inspiration Challenge. 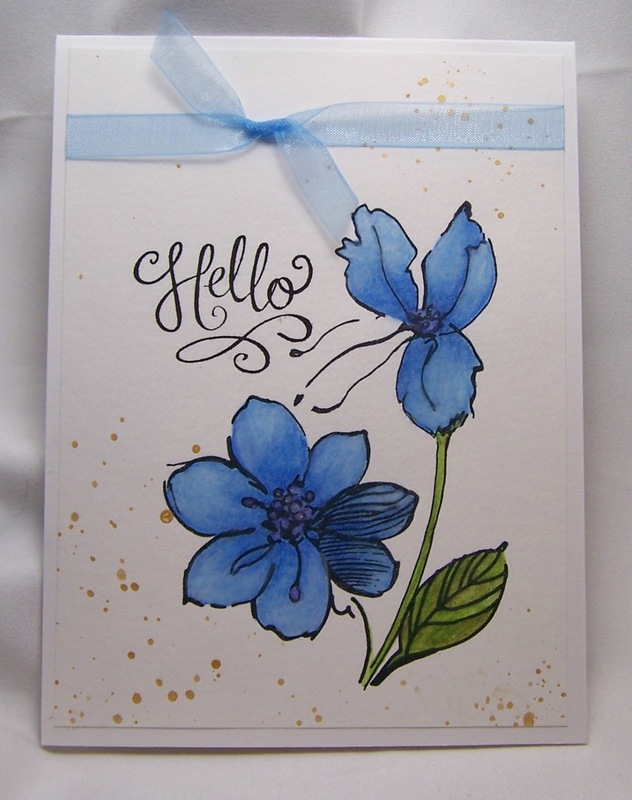 For this card, I used the Alta New Wild Hibiscus stamp set. This is a lovely set to use with watercolors. I painted the flowers with Grumbacher watercolors and then touched up the image with watercolors pencils. I then added some gold watercolor splatters to create some interest. Lastly, I added some delicate sheer blue ribbon across the top. This panel was then mounted to a white card base.